The View Pending Invoices screen is used to display any invoices that are ready to be posted to quickbooks. This list is populated either by completing a task and turning it into an invoice or creating an invoice. 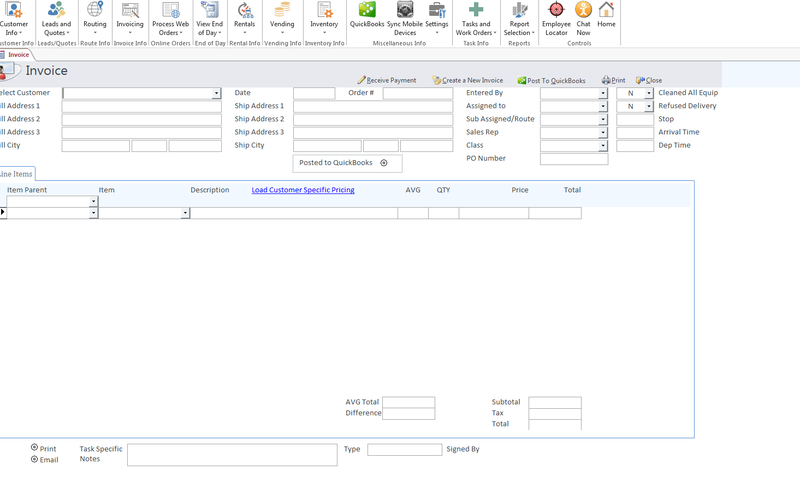 After clicking the Create an Invoice Entry button in the Invoicing drop down menu, it will display an invoice screen. From here you can create an invoice by selecting a customer from the drop down box and then adding line items. Once finished creating the invoice either click post to quickbooks or click close. If you click close the invoice will be saved to the Open Invoice screen.